I wish if your team can help me because i stay in rural area and to get that money is not simple and now i am in need of it.. I have deposited $250 on MAXCFD hoping that i will be rich one of the days, when i try to withdraw there no any progress since last year. when i try to contact them, they tell me that the finance team is on its process and to be honest i really need tha t money...my accont is 2100546...ID IS 1305782..PLEASE help me get my money back.because i am in serious need of it..i will appreciate your help. My case is similar to many on here, and as such i am having no luck in withdrawing my money from my account. Account was easy to set up, deposit was easy to make (in my case 500 euros) but that was where it all went wrong! My experience from the initial phone call from Chris Rose was one of high pressure to deposit funds and after several calls back and forth my decision not to proceed with him being my 'Senior account manager', aggression from Mr Rose. 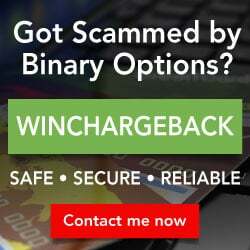 What i am left with is a single transaction on this Forex platform where i am unable to withdraw back to my original VISA card despite providing all the required documentation to validate my identity. I am still getting a reponse from the 'support' people when i email however my case is with the Finance team and they are NOT contacting me. Obvs i'm going round in circles here, and after reading many of the cases on this forum i am very concerned that none of us will be successful sadly. I can provide the specifics of my case if necessary, but it seems so many of the cases here follow the same path, so what we all need is a common solution from a regulatory body that will look at these unregulated scammers and take up the case with the support of government and the law. Please note that we have sent the request to the finance team and we are currently awaiting their response, which is long overdue. I will surely request for an update once again in regards to the status of your withdrawal and get back to you as soon as possible. When you want to withdraw cash they keep changing the goalpost. They expect one to enter into unacceptable agreements only after they got your money. On 5 January 2018 I signed up with MAXCFD having seen them listed as one of the top Crypto Exchanges. I later realised this seemed to have been a bogus list. Unfortunately I only later discovered later that the parent company Chemmi HoldingsLimited was blacklisted and ForexPeaceArmy warned investors not to trade with MAXCFD and" recommended you withdraw your funds immediately". After several interactions and sad stories of other customers I tried to withdraw USD700 of my remaining USD799 credit balance. This was cancelled by MAXCFD who suddenly wanted more documents to be signed ostensibly required in terms of the AML act. “I fully understand that by depositing these funds, I am authorizing MAX CFD to invest these funds on my behalf in any manner deemed correct and fit according to the market’s circumstances at the time. This declaration was obviously totally out of line with my understanding when I signed up as I never entrust third parties to invest on my behalf. In any case it did not have any semblance of the AMLA. At this stage I have not received any of my funds despite several emails and valid information submitted. Since so many victims before me had similar experiences I propose to take this further to the authorities such as www.actionfraud.police.uk and the FCA. Any advice and comments will be appreciated. In October 2017 I was contacted by MAXCfd in connection with a response I had made to an internet article on Bitcoins. MAXCfd asked me to deposit an amount of 250 euro to open an account, which I did. I was then phoned by Michelle Morelle of MAXCfd who tried to get me to invest further. I told,her that I did not wish to do so at this stage. Ms. Morelle persisted and in fact phoned me on two further occasions and I gave her the same reply. Nothing further transpired until I received a call from Mr Chris Rose on the 22nd of January 2018 who also tried to get me to invest further. I gave him the same reply and he said he understood my position. We talked further and he then asked me whether I could see a message on my Cellphone. I found the message and relayed it to him. I was under the impression that he was showing me how things would be done in future should invest in future. I did not respond to the message which was from my bank asking me to accept or decline the transfer of 1500euro from my credit card to MAXCfd. Subsequently another message appeared on the screen requesting approving the transfer of the funds. Again I did not respond, but told him of the message. Mr Rose told me not to worry about it and that he would attend to it We ended our conversation on good terms and I once again reiterated that I did not wish to trade further at this time. Two days later when doing internet banking, I discovered that a total of 3500euro had been removed from my credit card account and paid to MAXCfd. I then received an email from MAXCfd asking me to sign and approve the withdrawal of the funds from my credit card. I replied refusing and stated that at no time had I agreed to or accepted the transfer of the funds, nor had any amounts been discussed, I requested that the money be repaid and stated that I regarded their action to be unethical and fraudulent. A few days later I had a phone call from Mr Rose who said that he had invested my funds, made a 1000 euro profit and also put a 1500 euro conditional bonus into my account. I told him I was not interested but wanted my money returned. After a while he saw that I was adamant and agreed with me. The problem is that MAXCfd require copies of my ID and Credit card, and signed Authorization form I-402 and signed Credit/Debit Card Authorization Form F-306 which I do not feel comfortable doing in the light of my experience with them, and am unable to withdraw my funds and close my account without doing so. So, on 9th of January, I deposited $250 to MaxCFD to buy cryptocurrency. My account number is 2143283. However, they only bet on the price volatility of Bitcoin but don't sell the bitcoin itself. After I've known this, I decided to withdraw my money from there as that is not what I wanted. They called me incessantly to put more money to MaxCFD. I said no as I have other assets and I am trying to investigate a small fraction of my money to bitcoin as it's too risky. This man named Chris Rose called and told me that if I give him CVV and Debit Card number, he will have my account verified and have my money withdrawn. I gave him my CVV and Card number then he took $500 away from my account. This is completely illegal, I asked him to put it back but he told me that I should make aggressive investments to make money and blah blah all the BS. I talked with this guy several more times, but all he's asking me is that where is your money? I want you to put all of em to us so we can make a huge money etc. I felt suspicious when he was asking for assets I have and how much I have them. Currently, I lost total of $750 to them without hope of having them returned. I will wait until next Friday as they said it will take 7~10 business days to have my money withdrawn. Well, this FXXKER chose the wrong person to swindle around with. I have all the records from the first call from this stupid MaxCFD to the last one. Too bad that I have a bad habit of recording every single one of my phone calls. This means that I have several voice records of Chris Rose, Max Hudson. I have sent many emails to have my money back, but no answer and withdrawal is still pending. I feel sorry for MaxCFD that it doesn't know that my father is a lawyer and he's got a lot of friends powerful enough who can start an investigation/lawsuit against them it doesn't matter if they are abroad as Interpol and International Lawyers are always welcoming this kind of international fraud to investigate as long as they are being paid well. I am writing this at here so people can see this post and join me to have their money back. I will wait for about 3 weeks and will let the police and others who are concerned with this matter to start an investigation on this fraud site. Jan 28, 2018 - 1 Star They don't receive your calls don't answer to your emails, etc. etc. I am planning to have my money back by reporting this to the police. On the 20th December I opened an account with MAX CFD, despositing £500 which remained uninvested. After speaking to a broker at the firm I felt very uncomfortable with the platform and professionalism and proceeded to withdraw the full amount. The money has since been kept from me for over a month without proper explanation. My emails are ignored as well as my withdrawal request. My account was passed around various unprofessional brokers and never to the correct department. They are keeping my money from me, the whole thing is a scam. More recently they have offered a trading bonus and retracted once establishing I wanted nothing to do with the platform. They also cancelled the initial withdrawal request and charged me an "inactivity fee" of £50 for not trading on the account. The only reason I have been inactive is that I have been waiting for them to return my initial deposit. It's despicable behaviour by this company. There has been no trading activity on the account and I am seriously worried whether I will have my £500 pound returned. I find it illegal, a fraud and a scam. I am pleased to advise that I got my money back . Payment received into my bank account this morning . all of it EURO 2189 that was deposited . Jan 8, 2018 - 1 Star I had joined MAXCFD almost 2 months ago and 2 weeks ago I deposited another EURO1800 , I tried to withdraw today ,, and after many called and emails , I have been logged of my MAXCFD account . please help . what can I do to get my money back . no one will return my calls and emails either. Further to my earlier review entitled "Be Warned" I have now discovered that the withdrawal process does indeed work, but only in their favour!! On the 18th January Maxcfd withdrew 50 euros from my account, a transaction described as an “inactivity fee.” I emailed them stating that "my account now shows a 50 euro "inactivity fee" which has been approved. My account inactivity is down to your own inactivity in not actioning my withdrawal request which has been pending since the 12th December 2017. Please stop this nonsense now and credit me with the 350 euros I am due." "The inactivity fee has been deducted because you have not been active for trading purposes on your account. "Don't be ridiculous. You have been telling me for weeks that the so called "Finance Team" will deal with my withdrawal request and be getting back to me without there being any action in my favour whatsoever. Following my due diligence checks on Maxcfd shortly after I made my original deposit, I have never had any interest in trusting Maxcfd to effect trades on my behalf and I have repeatedly told your Account Managers that I am only interested in withdrawing my original deposit of 350 euros, but they are obviously not for listening!!. The only inactivity has been with Maxcfd in keeping my request in pending status since the 12th December. Please tell me how the 50 euros "inactivity fee" was withdrawn so quickly yet my withdrawal request is still pending. No doubt my account will continue to be run down from here on in, so please enlighten me as to when the next "inactivity fee" will be actioned." How on earth is this company still trading? My experience has been very similar to many other Maxcfd depositors who have been very sadly scammed by this broker. My story begins on 6th November 2017 when following a Google search for a bitcoin broker, I found Maxcfd as a supposedly suitable option for investment. Maxcfd request a deposit of any amount between a minimum of 100 euros to a maximum of 5000 euros if paying by credit card. I opted to deposit 350 euros but before I even had time to complete the deposit I was contacted by my “Personal Account Manager” who suggested that I considerably increase the deposit amount to effect a greater profit. I politely declined and my deposit was immediately approved and quickly followed by a bonus payment of 84 euros which I neither requested, wanted, nor expected. I was not at all comfortable with the way Maxcfd were progressing things and was regretting not doing due diligence on them before making my deposit. I therefore belatedly searched for Maxcfd reviews on Trustpilot, Forex Peace Army and other broker review sites and was horrified to learn that this broker was only set up in 2017, is an unlicensed and unregulated CFD trading broker, was being reviewed without exception as a scam broker and getting a withdrawal of funds was nigh on impossible. I immediately contacted my credit card company to explain my concerns and they put a stop on the card on which I had made the deposit and issued me with a replacement card to prevent any unauthorised future access. “Please note that we are a Support and Compliance team who solely deals with technology such as emails/computers and phones. Following a succession of emails between ourselves, I finally received an email to advise me that my account had been fully verified on the 12th December and my withdrawal request was in pending status. Despite numerous subsequent emails to and from the support team requesting action on my pending withdrawal I am still waiting and I now have zero confidence of this ever being actioned. “You emailed me 15 days ago to inform me that the finance department is currently working on my case and I have been placed on top of your priority list but my simple withdrawal request which has met all documentary requirements has still not been met and my request remains (as you no doubt knew it would!) in pending status! Needless to say they did not respond! I should also add that I tried unsuccessfully to email banking@maxcfd which is listed as a contact address on their website under “FAQ - What are the procedures for deposits and withdrawals?” I was asking them why my withdrawal request was still pending and taking so long to process, but the email was returned as undeliverable. I also tried unsuccessfully on several occasions to make contact through the messaging service option on the Maxcfd website but my message always returned "a server error has occurred" and the message failed. They responded on the following day with “deepest apologies for the lack of response regarding your previous e-mails. The content of your e-mail has been well taken into account and passed on to the Higher Management. They shall get back to you. Unsurprisingly, I have had no response from their “higher management” except a phone call on the 9th January from another Account Manager who claimed to know nothing about my withdrawal request and was only interested in asking on which trading platform I had made my deposit. When I said I only wanted to discuss my withdrawal he hung up on me. I eventually went public with my review on the 15th January. I joined maxCFD a few months back. My account was authorised as instructed by them. I made a withdrawal request in November 2017 and up till now, they did not process my withdrawal. They keep telling me that they tried calling me no answer and I did not receive any miss calls from them at all. In fact, I asked for numbers to call and I called them many times but noone answered. Been communicating with them through email but they always tell me there is no direct communication with their finance dept and they said they had forwarded my issue to the finance side. Now, they did not even reply to my emails anymore. Last month I opened an account with maxcfd to do some trading. After opening account, I got phone calls from them to deposit money. They said that I can withdraw from my deposit any time so I made a deposit via credit card. I choosed to have a managed account with a broker named Mike Ross. The managed agreement says that my deposit is always secured and in worst case, I only can loose my profit. The broker also added some money as bonus to my deposit although I didn't ask for it. Then he put me on some random trades which doesn't make any sense (without even informing me), so I asked him to stop trading for me. He lost some money, but my account balance was still higher because of the bonus added. I realized that it can't be good to continue trading with them, so I asked for a partial withdrawal from my deposit. But they rejected it saying that I can't withdraw money because I have 'bonus'. I asked them the withdrawal amount is lower than my deposit, so how can the bonus be a problem? I also asked them to clarify how much can I withdraw and how much turnover I need to meet for the withdrawal. But I am not getting any reply from the broker for last two weeks. I have sent about 10 mails to the customer support, the only answer I got is 'we have forwarded your query to the responsible department and update you as soon as we get a reply'. If anyone have suggestion how can I get the money back then please share with me.